FACT CHECK: Does a Photograph Show 'Four Horsemen of the Apocalypse'? Does a Photograph Show ‘Four Horsemen of the Apocalypse’? A photograph purportedly showing "the Four Horsemen of the Apocalypse" riding out of clouds originated with an advertising campaign. A photograph shows the "Four Horsemen of the Apocalypse" riding out of the clouds. 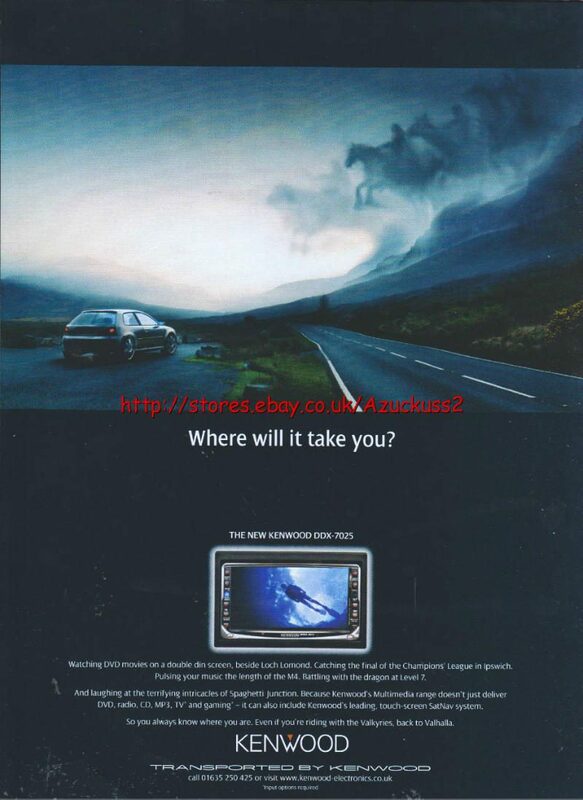 Several eBay listings for this advertisement also date the image to 2004, five years before the “Four Horsemen” allegedly appeared over Malaysia. Watching DVD movies on a double din screen, beside Loch Lomond. Catching the final of the champions league in ipswich… Because Kenwood’s Multimedia range doesn’t just deliver DVD, radio, CD, MP3, TV and gaming – it can also include Kenwood’s leading, touch-screen SatNav system. So you always know where you are. Even if you’re riding with the Valkyries back to Valhalla.